LET GOD SET YOU FREE. UPDATE: 4/15/2016: IF THERE ARE ONLY 7000 WORTHY BELIEVERS WHO ARE TAKEN IN THE FIRST OF TWO RAPTURES= I WANT TO BE PART OF THIS SMALL GROUP... IF WE WIN THE BIBLE CODE LOTTERY- BUILD THE CHURCH OF PHILADELPHIA AND EXPAND OUR RADIO SHOW AND THERE ARE 144,000 TAKEN... I WANT TO BE PART OF THAT GROUP AND SO SHOULD YOU... FOLLOW JESUS AS THE "CHRIST, THE SON OF GOD" AND EITHER WAY... YOU WILL FIND YOURSELF INSTANTLY TRANSPORTED INTO HEAVEN AS ONE OF THE WORTHY FOLLOWERS= THE CHURCH OF PHILADELPHIA. RAPTURE: a future, Biblical Event when people vanish into thin air and are instantly transported to Heaven. This event was portrayed time and again as a technology in STAR TREK where as people vanish= are de-materialized on a molecular level, instantly transported to a distant location and re-materialized, all within the space of a second. THIS RAPTURE EVENT (ACTUALLY TWO RAPTURE EVENTS) WILL PLAY A CRUCIAL ROLE IN BIBLE PROPHECY AND EVENTS TO SOON COME UPON THE WORLD. They claim you cannot lose your Place in Heaven (Salvation) no matter what you do or how cruelly you treat others. Some of the famous Teachers of this Lie are Reverend Jerry Falwell, Charles Stanley, Jack Van Impe, John Haggee, Hal Lindsay, Jerry Jenkins and Tim La Haye. To Be Revealed in The Last Days. And Completes This Prophetic Puzzle! 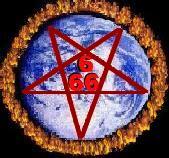 UPON EARTH, SOON AFTER ANTICHRIST IS REVEALED (REV:chp 7). worthy Christians are taken in The First of Two Raptures. The Second Rapture is The Resurrection and Happens DURING The Tribulation. This Is The Last Chance For All Who Were Left Behind, "Lukewarm Christians and Everyone Else, To Repent and Make Heaven As A Tribulation Saint and Beheaded Martyr. (1 Thes:4:16, 1 Cor:15:52, Rev:14:14). Many Churches including Baptist, Assemblies of God, Calvalry Temple and Pentecostal teach us that we are "accounted worthy" of Heaven and a Rapture (escape) By The "Blood of Christ" and by His Blood alone. Yet in The Gospels, JESUS tells us that our being "accounted worthy" to Escape The Tribulation depends upon our actions, by what we do and nothing at all to do with His Blood. THE FOLLOWING IS WHO WILL BE RAPTURED AND WHO WILL BE LEFT BEHIND IN JESUS OWN WORDS, NOT IN THE RANTINGS AND DOGMA OF MEN. the one Taken and the other left"
the one Taken and the other left." know what hour your Lord is coming." that you are "Accounted Worthy"
Christians Who Are "Accounted Worthy"
Parables in The Gospel. (Matt:25). 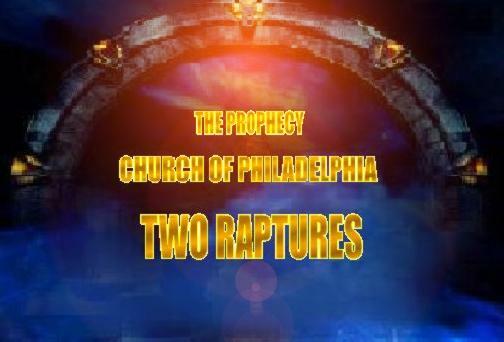 The First Rapture Event Will Be Called The Great Disappearance By The World Media. And the dead in Christ shall rise first." And Earn Their Crown Of Life."